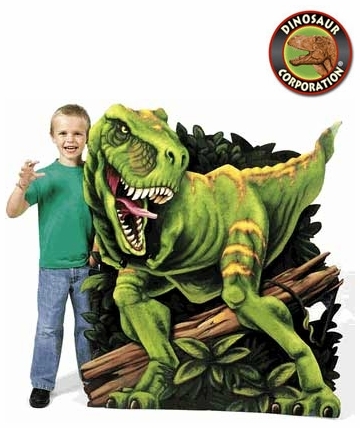 Home | PARTY SUPPLIES | DINOSAUR PARTY | Giant T-REX Photo Stand, Dinosaur Cardbard Stand Up, 51" x 40"
Giant T-REX Photo Stand, Dinosaur Cardbard Stand Up, 51" x 40"
Giant T-rex Dinosaur Cutout Photo Stand. Ready for all kinds of prehistoric fun! Dino Cardboard. Take photos of all the kids with a T Rex and send with your thank you notes!